On July 25, 1934, 150 Austrian Nazis dressed as Austrian soldiers and police officers overwhelmed the unarmed guards at the Chancellery building in Vienna (Ballhausplatz) and seized it as part of a German-backed plot to install a Nazi government in Austria. Their goal was to capture all of the ministers, including the prime minister, and force them to appoint their designated person as the head of a new German-friendly government. In other actions, they briefly took over the Austrian national radio network and tried to kidnap the president of Austria. 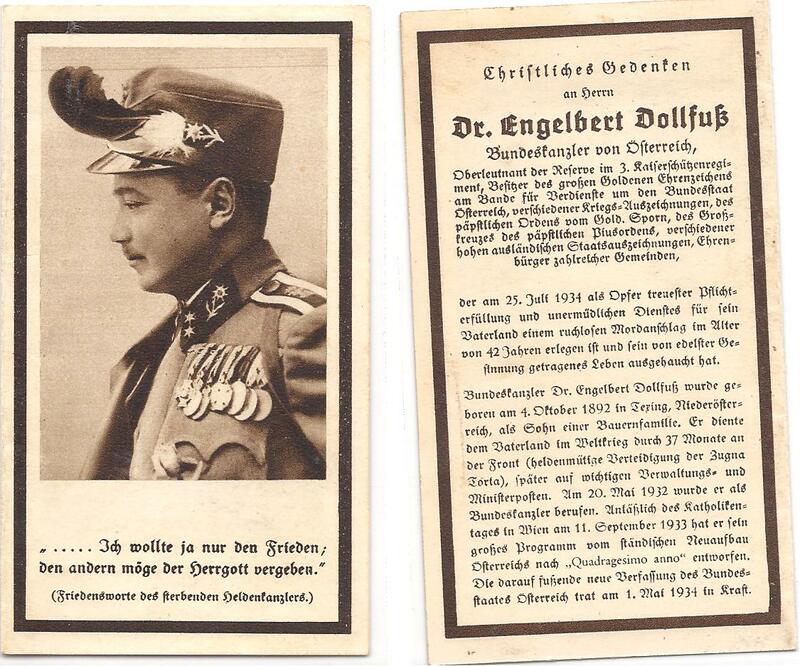 In the action at the chancellery, Engelbert Dollfuss (the Chancellor -- or prime minister) was shot twice as the building was being occupied; one of the bullets paralyzed him below the waist. The other bullet -- both were fired at very close range -- caused bleeding around the throat. The plotters refused to allow a doctor to treat him, or a priest to visit him, and he died a very slow death in his office. The details of the assassination are found in a book, Assassination in Vienna: The Story of the Nazis' First Attempt to Take Over Another County," written by Walter Maass. The story is a frustrating one because it is clear that several Austrian officials had advance notice of the plot. Due to their inaction or slow response, opportunities to stop the attack on the Chancellery were missed. 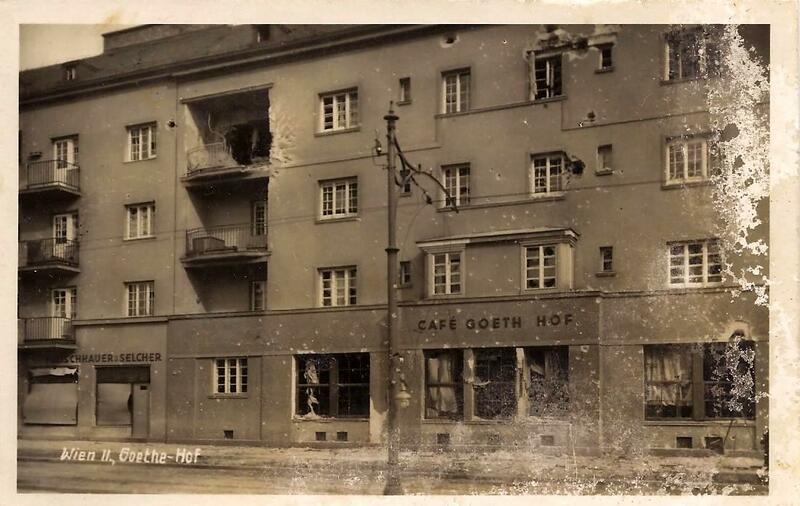 Also, Dollfuss -- who knew the attack was coming -- inexplicably remained in the building -- protected by unarmed soldiers -- when he could easily have departed long before the Nazi contingent arrived. Views of Dollfuss from a historical perspective are, at best, mixed. 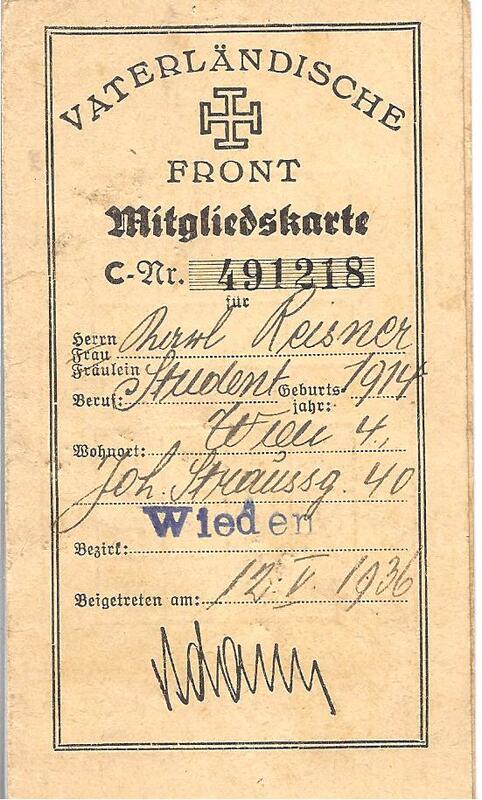 He came from modest circumstances (an illegitimate child raised on a farm) and was a brave officer in World War I. His distinguishing physical feature was his height: he was only 4' 11''. 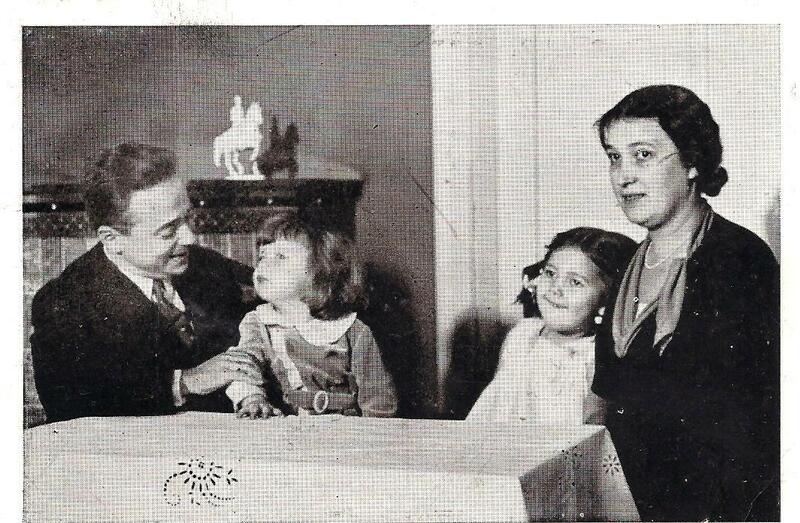 Dollfuss was, from most reports, an amiable, likable, well-intentioned man. When he was selected to be Chancellor in May, 1932 -- a very difficult time in Austria when the economy was in near free-fall -- he was the youngest head of government on the continent. At the time, his party had a one-vote majority in Parliament. Unfortunately, this amiable, well-intentioned man was responsible for ending democratic government in Austria and evoking a civil war in which the Austrian army fired artillery shells into the apartments of workers in Vienna, including the Karl Marx Hof and the Goethe Hof. 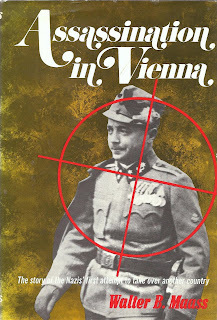 His government executed several socialist party leaders and removed the democratically elected government of Vienna from office, installing unelected officials from his party and its coalition. 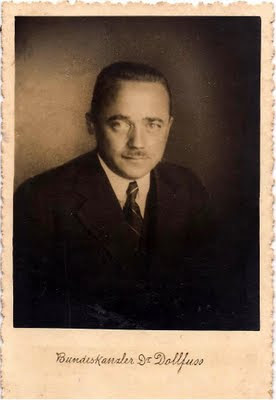 Dollfuss was a member of the Christian Social Party (CSP), a Catholic conservative organization whose supporters were largely outside of Vienna. Its main opposition was the Social Democratic Party (SPD), which was a socialist but not a doctrinaire Marxist group. 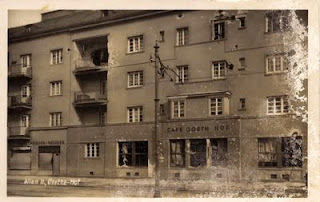 This party consistently received large majorities of votes in Vienna elections and was renown for the social support provided to workers in the city. After 1932, the Nazi Party gained strength, drawing votes from both the Volkspartei and the Socialist Party. However, Nazi party was never nearly as large as either of the two main parties. In these turbulent times, with Hitler taking power in Germany, Dollfuss found a way in 1933 to dissolve the Austrian Parliament and to rule by decree. He allied with the fascist Heimwehr party (which had its own militia) and received the backing of Italy's Mussolini. 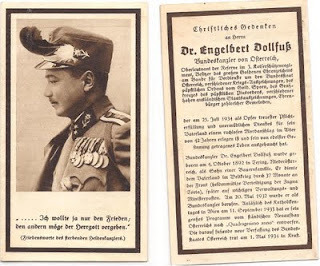 He dissolved all political parties by decree and created the Vaterlaendische Front (Fatherland Front) as the main political organization in the country. After dissolving Parliament, Dollfuss and his supporters wrote a new constitution proclaiming a Catholic, corporatist one-party state. Despite high sounding phrases in the new constitution, his government was a fascist regime that differed from German fascism mainly in its Austrian-patriotic focus and its rejection of anti-Semitic ideology. The brief but bloody civil war took place in February 1934 when the Socialist Party reacted to Dollfuss' policies to create a one-party state. The Austrian army and the Heimwehr crushed the lightly armed Socialists. Soon after scattering the socialists, Dollfuss' government outlawed the Nazi Party and imprisoned many of its leaders, who were using both terrorism and subversion to try to dislodge Dollfuss and install their own chancellor. 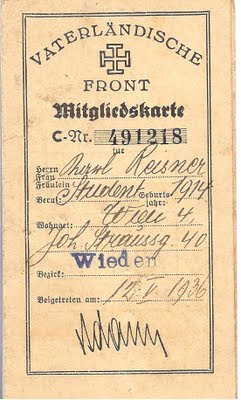 As Austria's Fuehrer and head of the Fatherland Front, Dollfuss attempted to unite Austrians in opposition to Germany's clear intent to absorb the country. After the failed coup attempt that resulted in the assassination of Dollfuss, his successor, Dr. Kurt Schuschnigg, continued the Austro-fascist government's efforts to fend off the Germans. What did Dollfuss think about his actions during his years as Chancellor? Consider what he told his Nazi captors as he lay paralyzed, bleeding, and dying on July 25, 1934. The Maass book quotes him as saying, "I have always tried to do the best I could. I always wanted peace." (p. 91). His funeral card quoted him as saying, "I only wanted peace; the others may God forgive." In 1933, to please another despot, Mussolini, Dollfuss himself dissolved the Social Democratic Party and shot workmen in their home. Not to please Austria. To please Mussolini. And the little daughter of Dollfuss said to the child of a friend of mine: "Does your father cry all the time. Mine does." His mission was to fight. After the Anschluss, the public Dollfuss memorials disappeared, though many private memorials -- including several churches -- have since returned. 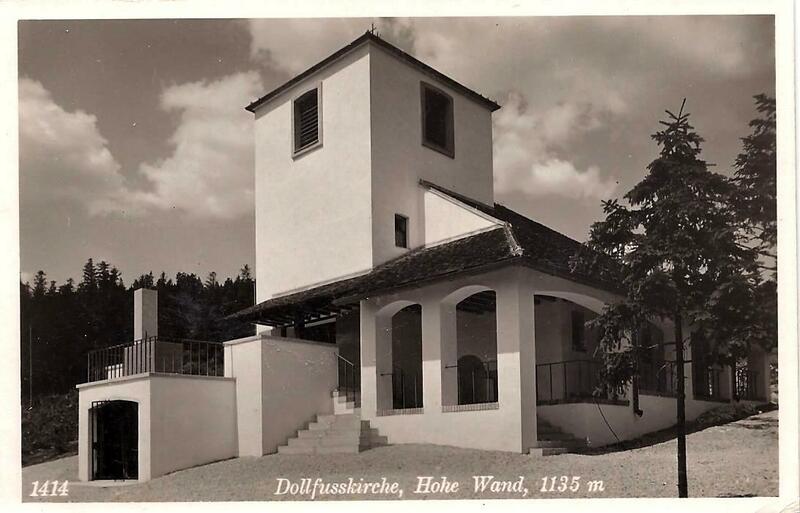 According to a July 21, 2011 article in Zeit On-Line with the title, "Totenkult fuer einen Diktator (Death Cult for a Dictator), Dollfuss' death is still honored at several locations, including the Dollfuss Church on Hohe Wand. http://www.zeit.de/2011/30/A-Engelbert-Dollfuss/seite-1 Dollfuss also has a small museum devoted to him and life, located in the house in which he was born in Lower Austrian district of Texingtal. Although some traditional Catholic conservatives still revere Dollfuss and his name, he is not a historical figure honored by the Austrian government. Perhaps Dollfuss was a good man forced to do bad things during an impossible time. Nevertheless, he destroyed Austrian democracy, shelled workers in Vienna who tried to preserve democracy, and made Austria a fascist state. When he was Chancellor, he was not the only person crying all the time. How would it all have turned out if he had not been assassinated? Would he have joined the axis Powers against the Soviets....or remained neutral under Mussolini's protection? Could he withstand the Nazi 5th column that could overwhelm his regime. Did his death cause a loss of moral support to weaken Mussolini's ability to withstand Hitler's influences? Who knows! Good question. My guess is that Dolfuss would not have changed the course of history if he had lived. I agree with M.W. Fodor (See South of Hitler) and others who wrote that crushing the Social Democrats in February 1934, instead of creating some alliance with them to face the Nazi threat, was a bad mistake. It pleased Mussolini and the Heimwehr, but weakened Austria by alienating nearly half of the population. However, even avoiding that mistake might not have stopped Hitler and the Anschluss.